In what is surely a rare, if not unique, dual achievement for an international player in Australia, Great Britain’s Will Worthington has captained a premiership side, and claimed the team’s best and fairest award. 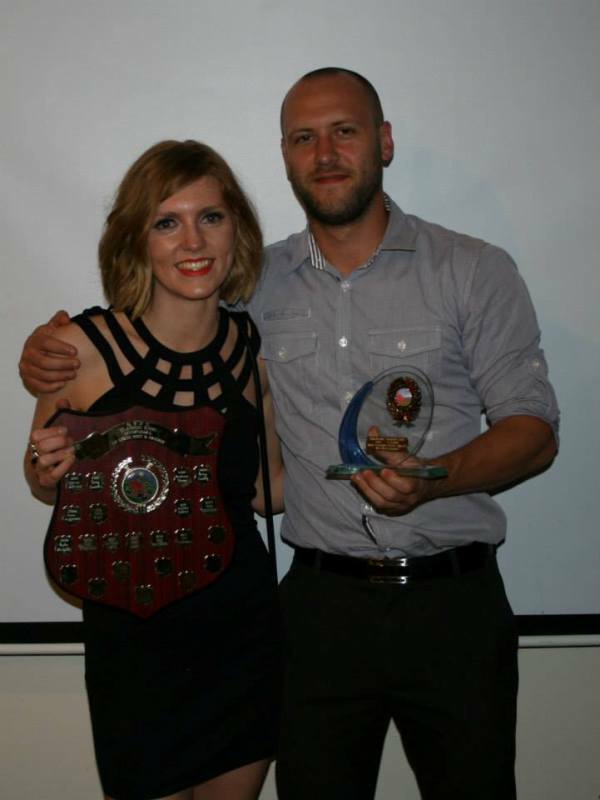 Worthington led Onkaparinga Valley Bulldogs to victory in South Australia’s Hills Central Division B grade on the 14th of September, before taking out the highest individual prize, and the Players MVP, the following weekend. The stories of people from overseas that come to Australia to play footy are often intriguing as we struggle to imagine our game being played anywhere else. Will’s is no different. 9-a-side footy on rugby fields in the south of England must seem a distant memory when playing in front of a few thousand people at a country Grand Final. In between there have been the lows of injury and the highs of national representation. Will, now 27, grew up in Northamptonshire, in England’s midlands, whose own sporting sides have enjoyed notable recent success in rugby and cricket. Absorbed into sporting culture from an early age, Will played semi-professional soccer as a teenager and also played for Northants at youth level in cricket. The thought of ever playing ‘Aussie Rules’ was never in his mind although he was exposed to the sport at a young age. It was as much by chance of circumstances than any grand plan that at the age of 22, Will would start playing seriously with the Sherrin. It would prove to be a sound decision. Will’s form led to a call up at the end of the season to represent England at the ’08 Euro Cup, where the Dragonslayers were victorious for the first time. The following year Will moved back home to Northampton and decided to play for the London Swans. A bad ankle injury 30 seconds into the first trial game curtailed his home season, but he managed to get fit in time to make the England squad again. The Dragonslayers went back-to-back, with Will taking home the GF MVP and a European jumper. With job opportunities drying up in a post-GFC Britain, Will decided a change of scenery would be for the best and moved to Adelaide. Upon arrival, he was dragged up the freeway to the Onkaparinga Valley Football Club by a mate from the Adelaide Hills whom he had played cricket with in Northants the previous year. A joke it certainly wasn’t and Will surprised many, particularly with his attack on the ball, and played 7 A-grade games in his first year in what is regarded as one of the strongest amateur comps in South Australia. That development would be interrupted before the end of the season as injury struck again and would persist. The 2011 IC would be the high point of Will’s year. A change of career gave Will’s body some respite. Last year he enrolled at Uni SA to gain a graduate diploma in education, and this year has been teaching in the Adelaide metro area. In that time he has recovered some of his dash, while ‘Onkas’, as they are known to the locals, also gained strength. 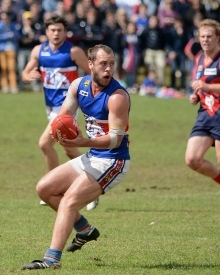 In 2012, Will was a vice-captain of the B-grade side who fought their way from 4th on the ladder into a grand final. They fell short on that occasion, but would not be denied this year. 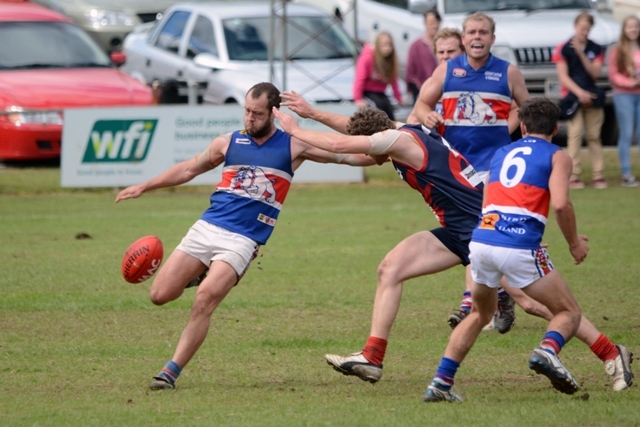 A blistering 6 goals to zero first quarter against Uraidla Districts setting the doggies up for an eight goal win. A good team it was. An abundance of money in country football and the Hills close proximity to Adelaide means more and more players are being drawn from town. The depth of talent is being pushed into the B-grade and long gone are the days where the ‘B-grade’ competition is a grazing paddock for the ‘old and overweight’. 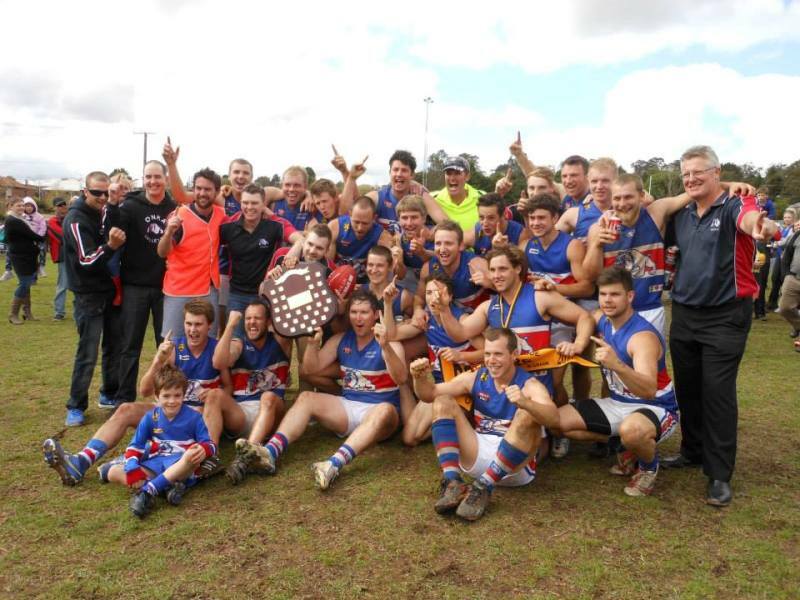 Onkas premiership side featured a former SANFL player, a player with an under-19 SANFL flag, and countless others who have played SANFL juniors or country representative squads. Such was the strength of the Onkas squad the coaches decided a player who played 2 SANFL reserve games this year wasn’t worth the risk due to a slight injury. It was a quality unit, and the coach, Steve Jefferies, whose older son, Ben, was club champion for SANFL victors Norwood this year, has nothing but praise for its captain. Having thoroughly celebrated the success of 2013, enjoying the spoils of victory, Will plans to travel back to Europe for 12 months to be with family and friends and continue his teaching career. Although he won’t be able to join the Onkas lads in their premiership defence football will still be at the forefront of Will’s mind, with the 2014 International Cup on the agenda. Will’s achievement in 2013 are testament to the hard work and dedication he has shown to get the best out of himself and regardless of where Will is in the world he will no doubt continue to be a tremendous ambassador for the sport and a great example for international players to follow.